California State's University, Fullerton Arboretum. presented its first Healy Foods Certificate to Monkey Business Café. 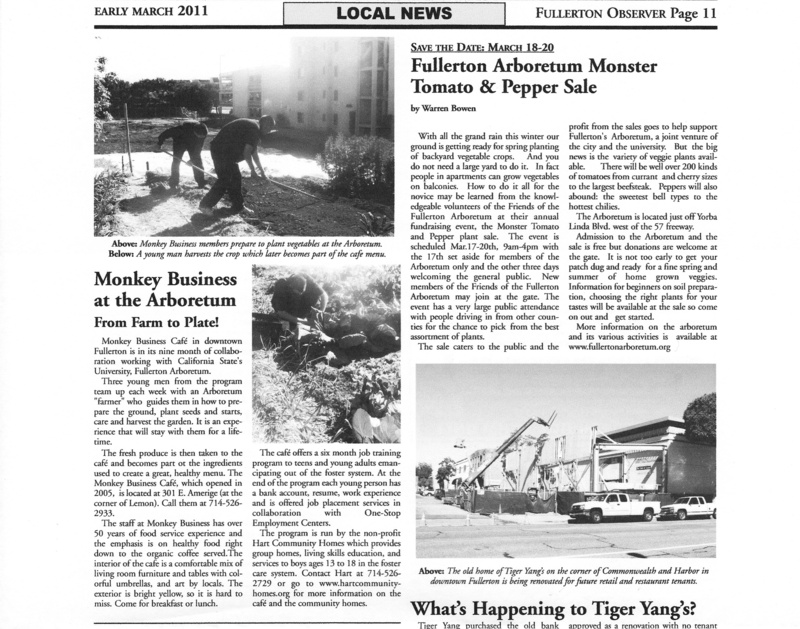 Monkey Business Cafe is mention in Orange Coast Magazine.